Scott’s position couldn’t be much better, tied with four other players at 7-under 137 after a second-round 68. Four others, including Tiger Woods and Dustin Johnson, are a shot back going into what should be an eventful weekend on a golf course that so far has been there for the taking. Scott’s performance wasn’t entirely unexpected. He finished second in San Diego this year, seventh in Los Angeles, and just outside the top 10 at The Players Championship. That was enough to boost his world ranking to 29th, though Scott hasn’t won since he did it twice in 2016. Scott’s 69-68 marked the first time he’s broken 70 in his first two rounds at the Masters. He said it was a byproduct of him tailoring his game for Augusta National and not playing since The Players. 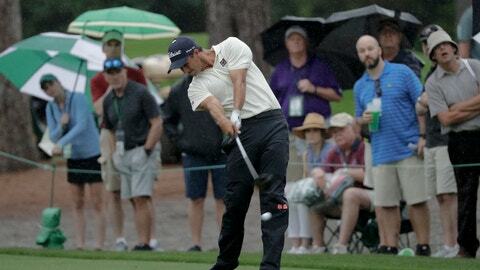 Scott, who is paired with Brooks Koepka in the penultimate grouping Saturday, said he can’t wait to test himself against a leaderboard loaded with top players.